See? I have a cool Dodgers hat. And I’m at Dodger Stadium. Life IS Good! Go Dodgers! World Champs 2017! Whoo-hoo! There. I got that off my chest. I take a lot of grief from my friends and family for being a diehard San Francisco Giants fan. I proudly wear the orange and black, know the name of the mascot (Lou Seal) and the history of home plate moving from one park to another, but I can’t spew names or stats. That doesn’t stop the swell of pride when my Boys from the Bay are doing well. Three World Series Championships in five years that start with a 20. Just sayin’. The stats I do know? The Giants have won more National League pennants than any other team (23), followed by the Dodgers with 21. And they’ve been World Series Champions 8 times, while the Dodgers have been on top 6 times. Let’s hope that number goes up to 7. Despite many “friends” painting me as the evil enemy, I am thrilled that tonight, the Los Angeles Dodgers will play in the first game of the 2017 World Series against the Houston Astros. I think it would be an awesome Halloween trick if the Series becomes their treat next week and we get to have a victory parade in early November. And I will buy a shirt. Because blue looks good on me too. Unlike my husband, I love baseball. Not enough to park myself in front of a TV for every game or listen to every play-by-play (I am, however, guilty of logging on to MLB.com and “watching” a critical game or two that wasn’t televised), but enough to know most of the rules, enjoy the opportunity to see a game live and agree that it is, despite my track-and-field coach husband, America’s Pastime. (Side note: when my sweetie was cast as the coach in a production of “Damn Yankees,” I thought it was hysterically ironic. There was some really good acting there). I even played baseball when I was an adolescent, a proud member of the “Coronado Creeps” of the Cabrillo Park Asphalt League. We played in the street with home plate in front of my best friend’s driveway and first base right around the Kennedy’s mailbox. Lucky for us we never broke a window or a windshield. I continued to play for kicks and giggles after college and can still pick up a bat and make a reasonable hit, but at my age, a pinch runner is a given. The infamous Giants fan and daughter enjoying Jackie Robinson Day at Dodger Stadium. It happened to be my birthday too! As a Southern California resident for longer than I lived in the Bay Area (43 years here, 20 years there), I feel the pressure – nay, the requirement – that I must be a Dodgers fan. I do enjoy the occasional game and am happy when they win (except when they play my guys) and I possess not one but two Dodger caps for wearing when the Giants aren’t playing. I really wanted the Dodgers to take the Series last year for Vin Scully, a man I truly admire (although my childhood hero was Giants broadcaster Russ Hodges). And I have a standing tradition with a good friend to catch at least one North-South rivalry game every season. My “Free Gift with Purchase” son (i.e., my Son In Love’s brother) and his uncle try to bug me about players and their records. Goes over my head. Not into stats or RBIs or injuries. I just like the Giants. I’ve always liked the color orange. My bedroom at home was painted orange, my first new car was an orange VW, and I thought I won the lottery when my high school colors reflected those of my baseball team. But there’s more to it than that. Even when the A’s settled in nearby Oakland, I stayed true to the Giants. I went to school with Hall of Famer Dennis Eckersley who pitched to Dodger Kirk Gibson on that fateful night in 1988. Dennis, who graduated the year after me, was disappointed that he wasn’t drafted by the Giants in 1972 and I shared his adoration of Willie Mays, who we both saw playing at Candlestick Park in our youth. And by my side at those Candlestick outings was a woman who lived and breathed Giants baseball – my mom. She was determined to give me an appreciation for the sport and for the players. I can probably name more players from 50 years ago than those on the team today – Mays, Willie McCovey, Jim Davenport, Gaylord Perry, Juan Marichal, Orlando Cepeda, the Alou brothers, Matty, Felipe and Jesus, were my chosen celebrities. I wanted to have a black satin jacket like hers with the Giants logo embroidered on the back and front. I remember going to the grocery store before a game to load up on peanuts (because ballpark prices seemed high in those days too). She would talk me through the plays and show me how to watch the bases and predict who was going to try and steal or who could catch pretty much anything that was airborne. Somewhere in her MomWisdom, she must have known I was never going to be an athlete, that I’d probably do something else like act or write. At least, she figured, she could teach me to be a good spectator and fan. Then there was my dad. He thought Sandy Koufax and Don Drysdale were the greatest players in baseball and damned if they didn’t play for the Dodgers. So on game days when those two teams were going head to head, the excitement was electric. Sitting between them at the park, it was fun to watch their faces as they reacted to the plays on the field. They were some of the best days – and nights – of my life. Speaking of days and nights, if you went to a double-header at Candlestick, you were guaranteed to cook and sweat during the first game and freeze all your extremities during the second one, with the wind whipping off the bay and right into the cheap seats. With the team’s move to AT&T Park, I doubt the weather dips nearly as deeply off McCovey Cove to require a complete change in clothes between games. I was at a Dodger game this spring and a few rows in front of us, there was a little girl and her dad who were yelling and cheering really loud. She was dressed in Dodger blue from top to toe and dad was wearing his favorite jersey. They enjoyed a repast of Dodger dogs, ice cream, nachos, peanuts, soda and beer – the basic Chavez Ravine food pyramid – and they were having the time of their lives. It was a capsule of Americana, a date that I hoped wasn’t a first or last, but a tradition that she would remember and they would both cherish. I could see myself in that little girl and it restored my faith in a good old game of baseball. That, I told my friend, that is why I’m a Giants fan. Not because I hate any other team (in fact, I don’t allow myself to use that word), not because I want to be a rival, not because I miss the Bay Area (I don’t), but because my memories are wrapped in that black satin jacket and those store-bought peanuts. And they hit a home run every time they come up to bat. All three of my girls celebrating at Dodger Stadium this September. The Dodgers didn’t win this one, but we had some great family time and that’s what it’s all about, no? 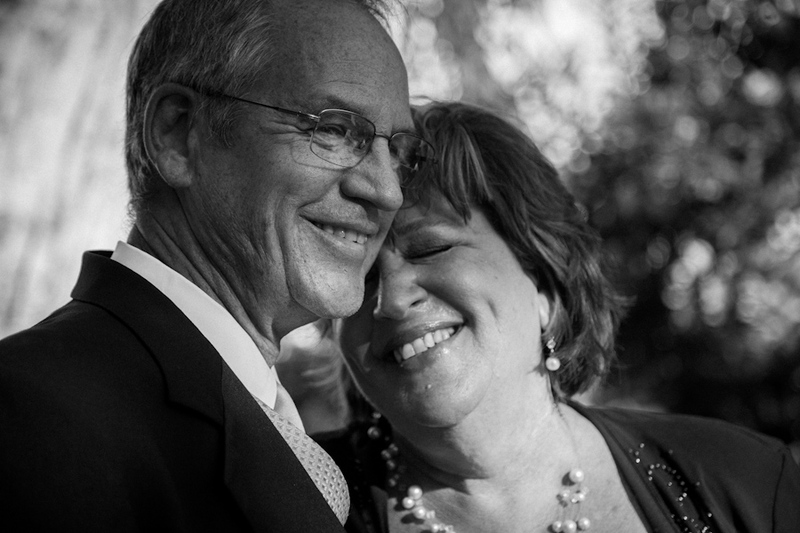 Forty Years of Love, Laughter and LIFE! Oh. My. God. 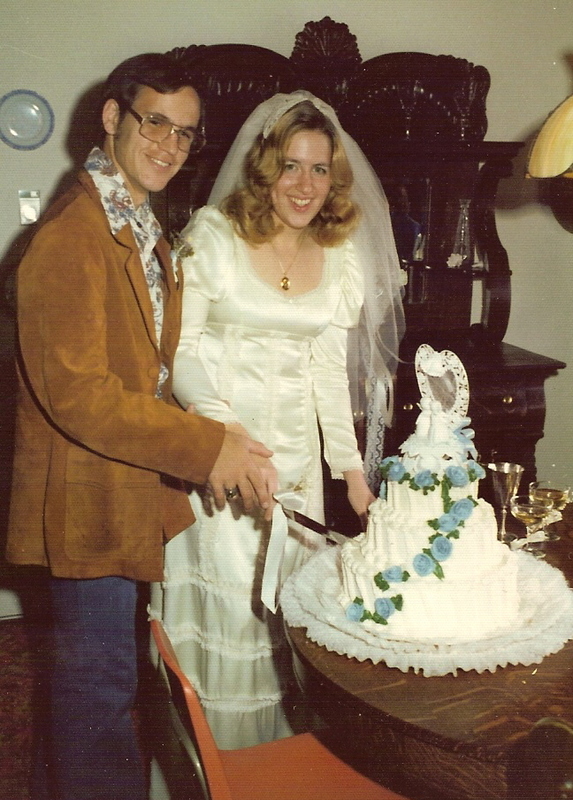 Today, I will celebrate my 40th wedding anniversary. With my husband, of course. Two score. I mean that as two chunks of 20 years each, but it does bring about a knowing grin when you think of it in Married Life Terms, because we did. Big time. Four decades. More than the lifetime of a car, a computer, a food processor or a TV set. In fact, I don’t think I have any of the original appliances with which we started this roller coaster of bliss. We’ve upgraded everything but the jewelry. I still have my original wedding ring, as does he. I noticed this morning that his band that used to have deep leaves carved into it has been worn smooth in places. Mine is still pretty three-dimensional, although the bands in the back are blended into a solid gold line. I did have the diamond replaced when I lost the original at an ill-fated chalk festival a couple of years ago. Same size. I don’t need anything bigger or flashier. It’s been working for 40 years, and it is ready for the next 40. Forty years. Holy crap. That’s a whole lot of patience and laughter and worry and happiness and stress and celebration. 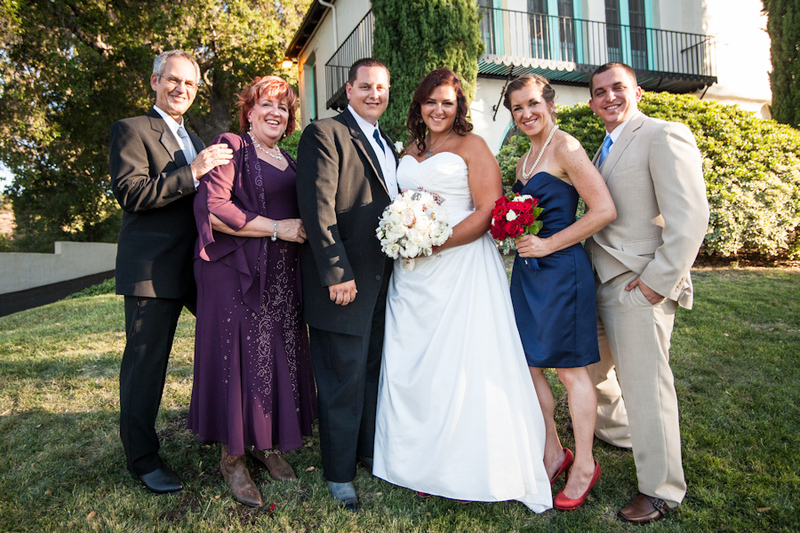 In those years, we’ve lived in three places; a very cold cinderblock apartment in Caldwell, Idaho, a lovely duplex in Burbank and in the Rock Hacienda in East Valencia Heights for the last 33 of those years. Our house is nontraditional, (he’s a painter and I’m a writer; we have no white walls whatsoever) but the comment we always hear is that people love to visit. Frank and I work every day to make and keep it that way. One of many Christmas dinners – Frank, Casey, Kerry, Sarah and me, wearing an apron from the LA County Sheriff’s Homicide Division. It was red…..
We’ve raised three kids in this house; hosted countless birthday parties, baby showers, graduation parties, Christmases and New Year celebrations, let wayward teens live with us for awhile and always made sure that our kids’ friends knew there was always a meal, a nonjudgmental ear and usually some fun thrown in if they stopped by. That doesn’t happen without two people working together to balance each other’s tolerance and wisdom. 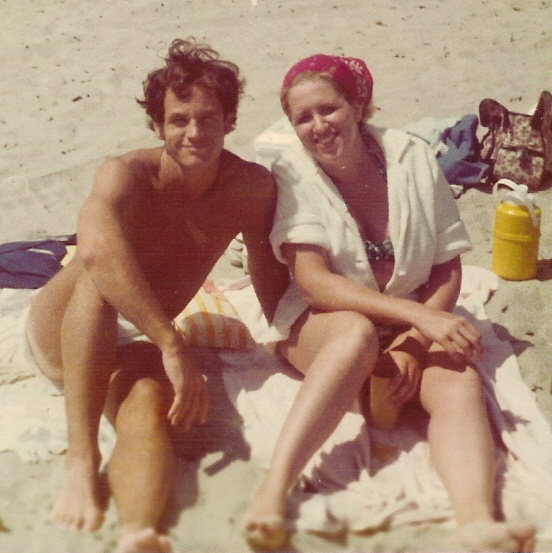 I think it was that mixed bag of patience and love that earned us the nicknames MamaRock and PapaRock, which we cherish. Love. Patience. Teamwork. Forty years of teamwork. 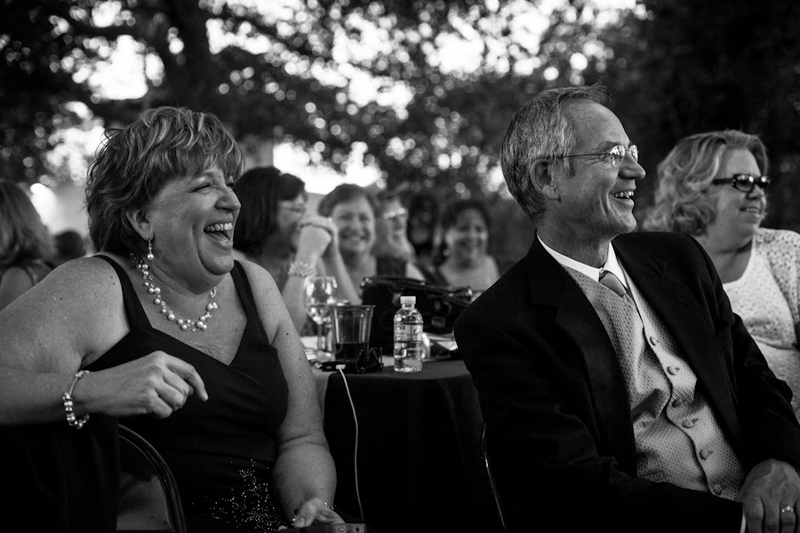 Laughter is an important part of love. Things haven’t always been easy. We are more than familiar with the term “starving artists” and sometimes we have had to make do instead of taking fancy vacations or buying extravagant gifts. It’s frustrating, but rewarding at the same time. We have each other and that’s enough. If I had to describe being married, I would talk about comfort, security, safety and responsibility. I would touch on agreements and not always having the answer and facing adversity with a hand to hold so we stand tall and don’t fall over. It’s driving home after a rotten day at work or having great news and there is no one else on the planet that you want to share it with more. No one else can dry my tears or make me laugh like him and I wouldn’t have it any other way. In his arms, my stress level drops and I am at rest. It’s a great feeling. 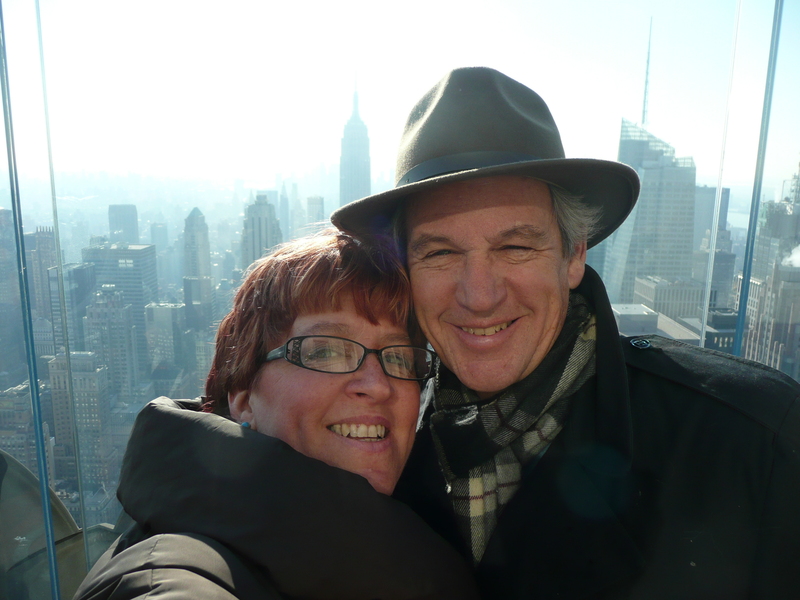 Greetings from the Top of the Rock – the kids sent us to New York City for our 35th anniversary. 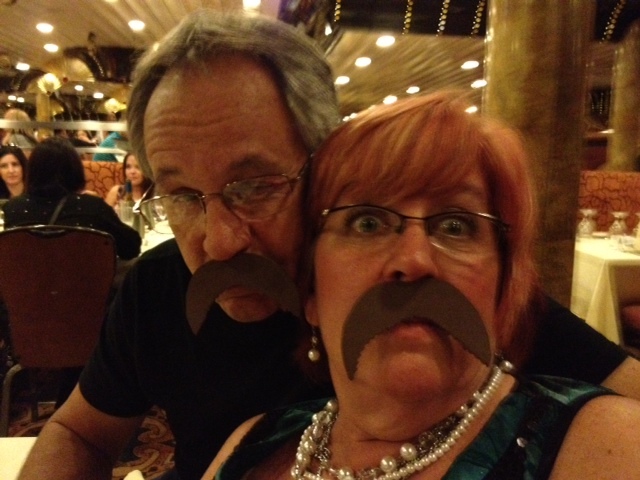 I’d also mention that the most important element of a happy and successful marriage is a sense of humor. Life is a funny old raccoon, a wise friend once said, and he was right. Just when you think you have the solutions, the problems change. Over the last 40 years, we’ve found ourselves in situations that left us no alternatives but to laugh, gather our composure and start over. 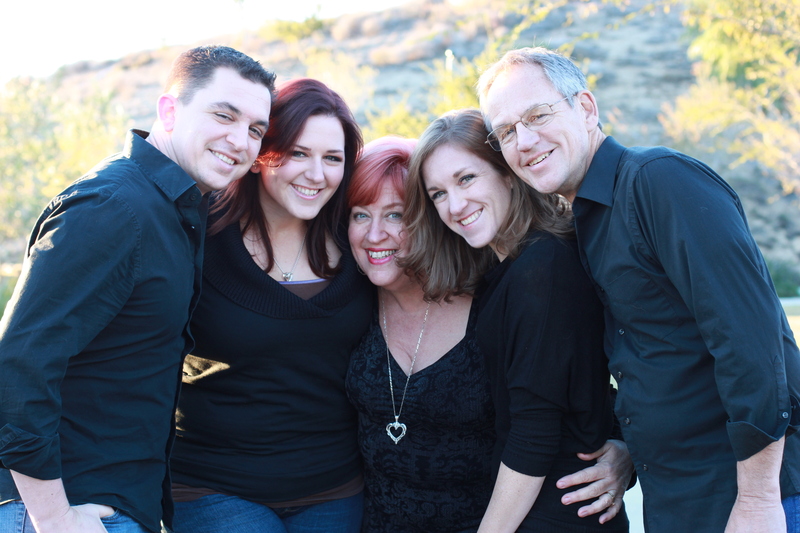 Our family has had some health challenges that could have ripped us apart, but we stood strong. 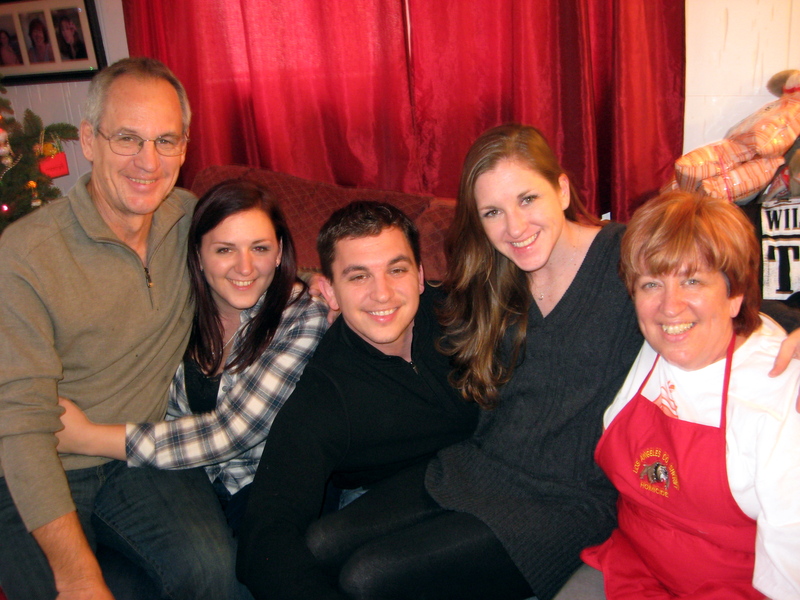 We worried when our son served in Iraq and when relationships weren’t so good for our young ones, we cried with them. If adversity was at the door, we took a breath, gathered our composure and faced it. Together. When I wanted to pursue a career in news, he was behind me all the way. He saw how it excited me and made me feel worthy. When he had a career adjustment and I encouraged him to start muraling and exploring his passion for painting, I saw his eyes light up. I am his biggest fan and I know he’s mine. This is as good as it gets. I will admit I am the luckiest girl in the whole damn world. My beloved puts up with my often insane reasoning, my spontaneous nature, my procrastination, and my mood swings. He celebrates every one of my little victories, sometimes even more than I do. He is, without a doubt, my biggest cheerleader and I hope he knows that I am his as well. He is my staunch defender, my arm candy, my partner in crime and the absolute love of my life. He listens and laughs, most of the time in the right places. He is passionate about a lot of things, lucky for me that I’m one of them. As we approached this milestone, I tried to remember some of the early times. They’re getting harder and harder to recall, except the constant that whatever we did, we did it together. Through all the years, the pounds, the varying hair colors and lengths, crazy fashions and hobbies, he’s been there. Though some friends have come and gone, I know that the two of us fit best in the big chair in the living room and if it’s just us, that’s OK.
Now that our nest is empty, our first granddaughter will be here very soon and we’re excited to have all the kids home for the holidays – I’m looking forward to the new times. We’ll share new experiences (beyond the maze of Medicare and Social Security) as we enter a new chapter of our lives and I’m excited beyond belief that we get to do them together. Frank, thank you for the easy-to-say last name, the hugs and the cuddles, the joy and the laughter. I love you to the moon and back. I believe in you and I can’t wait to see what’s ahead. All I know is that it’s gonna be great. To the next score, and the one after that, and the one after that…….here we go! Piece by piece, only way to make a work of art. Every moment makes a contribution, every little detail plays a part. Sondheim. What a wordsmith. And any actor who’s done a Sondheim piece knows the unique meter of his words – as I read the lyrics above (“Putting It Together” from “Sunday In the Park With George”), I did it note for note (Sondheim fans will get the joke). OK, enough about writing for the micro-audience. I’m on a much bigger mission here. I want you to think about art. What does that word say to you? A picture on the wall? A sculpture? A song? A live stage drama? An interpretive dance? A humorous blog? Now let’s take it a step further. What does art do for you? Inspire? Calm? Recharge? Provide an escape? Amuse? Let’s all agree that art has an effect on every soul it touches. Books have saved lives, songs have captured moments and emotions, cartoons have expressed political rebellion, dance has given us grace, portraits have invited compliments. All have prompted thought and conversation. Now let’s visit a much darker scene. We could be living in a place devoid of art. Theaters could go dark. No stages would mean no dances or recitals. Roundabouts would be flat. Walls would be boring. And the only singing might be the occasional National Anthem, a beautiful song, but not to replace the wide variety of music we’re used to. There are those among us who believe every penny of municipal money should be spent on public services they consider important, such as streets, housing, traffic, infrastructure and taking care of the poor. All noble services. But what the blinder-wearing critics don’t see is that all of those services benefit from an art component. When you’re driving down the freeway, do you notice the subtle patterns stamped into the concrete sound walls? You can tell where you are depending on the art. And housing? We paint buildings different colors, but a splash of something nontraditional really catches the eye and lifts spirits. Infrastructure? Doesn’t that mean a foundation for the best quality of life we can get? And stewardship for those less fortunate should be a given, from not just city sources but from our own pockets, to make sure everyone has a place to life and food to eat. Sometimes art is the only bright light for those struggling to get through life. But an equal responsibility for all of us, and most of all, our leaders is to also support the aesthetics of our community. Sculptures at the trailheads. 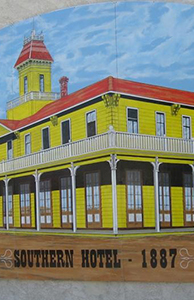 Murals in the downtown gathering places. Music at every assembly. Colors and sounds, emoting and creating is essential to human growth and nurturing everywhere. What many fail to see is that in the tangled web of municipal finance, arts funding is very small, but traditionally spent to get the best benefit for all. It’s also funding that doesn’t impact other funding – money spent on art doesn’t deprive roads or food pantries or senior programs. And if the funds come from grants, they may be restricted only to arts and are not available for those other purposes. Now you may not think that those voices can influence the decision makers, especially if they are small in number. Wrong. 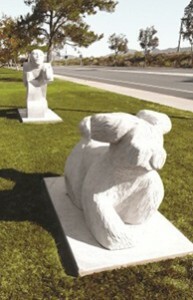 They killed the art in the Newhall roundabout. Short-sightedness like theirs makes arts administrators cringe when a creative, locally-sourced project is killed because of squeaky wheels and not the project’s merits. Artists of all disciplines are not without fault. They did not fill the Council chambers to stand up for their fellow creatives. Lucky for us, we have a second chance. The Santa Clarita City Council has brought a consultant aboard to assess the arts picture (pun intended) and listen to the people express what they want to see in our city. All of the people, squeaky wheels, starving artists, creative musicians, enlightened painters, singers, dancers, actors, comedians, poets and artistic types. Everyone. “Small amounts, adding up to make a work of art. First of all you need a good foundation, otherwise it’s risky from the start. Having just a vision’s no solution, everything depends on execution. It doesn’t take long and offers the opportunity to add ideas that may not be listed in the options. Most of all, it will give you a chance to say if you want more art, less art, where you want the art, how you want to experience it, and what art you appreciate now. This would be a good time to remind you that there are several nonprofit arts groups in existence that give of their hearts and souls to make Santa Clarita an artistic place. A few that come to mind – the Canyon Theatre Guild, the Santa Clarita Master Chorale, the Santa Clarita Artists Association, the Santa Clarita Concert Band, ARTree, the Santa Clarita Symphony, the Santa Clarita Shakespeare Festival, the Repertory East Playhouse, the Santa Clarita Youth Orchestra……well, I promised a few, but there are many more, trust me. Many of them don’t get paid to create their art and do it out of passion and the desire to make their community a better place. 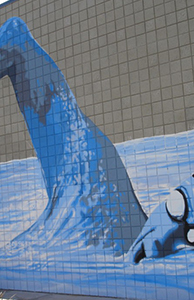 The other thing you can do is come to the Arts Summit (again, info at http://arts.santa-clarita.com/arts-master-plan/), it’s on Monday, April 6 at the Activities Center (above the Aquatics Center on Centre Pointe Parkway) from 6:30 to 8. There will be a panel discussion and breakout groups to narrow down what is important to all. It’s a one-night, short time commitment to improve the arts outlook for our future – and the future of our children, grandchildren and visitors. Oh yeah, tourism helps pay for some of those essential services too – so let’s make sure there’s some culture for people passing through and stopping for a day or two. Join me and do something to make sure we’re not living in boring beige concrete canyons, please? And thank you for reading while I express myself artistically.